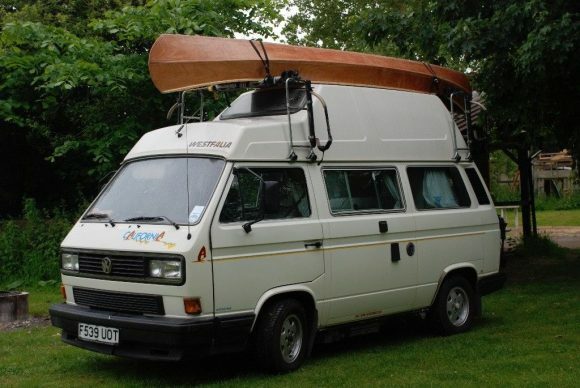 This 1989 Vanagon Westy California high top is currently for sale. 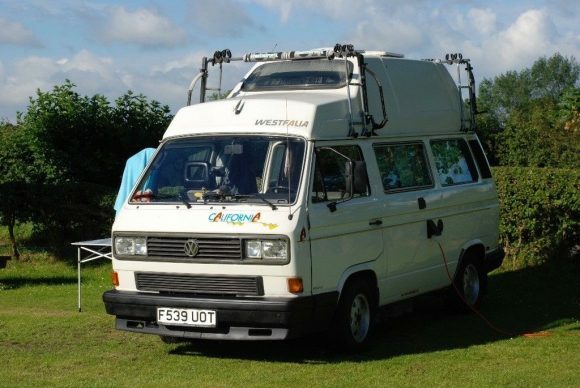 Unfortunately for those of us in the U.S., this van is in the U.K. It’s owner says it is “stunning” and “fully loaded.” The interior looks new and this van features a 1.6 TD engine with a classic 1980’s awning. 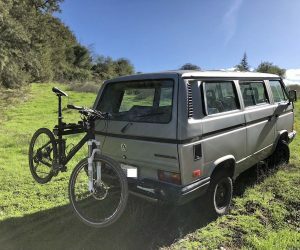 It’s perfect for camping and as you can see in the photos, you can carry a lot of gear. 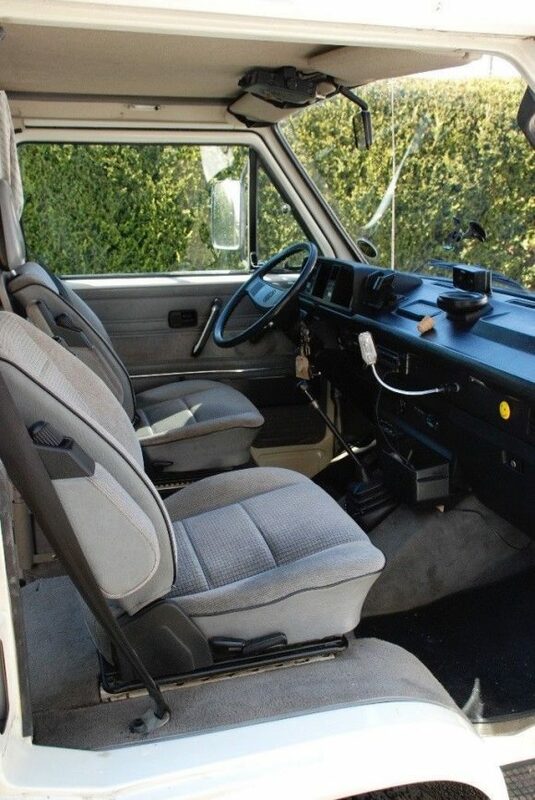 Click through for much more on this van. 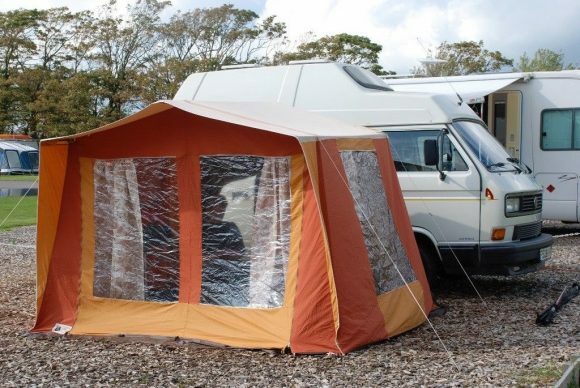 With the high top and side tent, you would be very comfortable in this van. 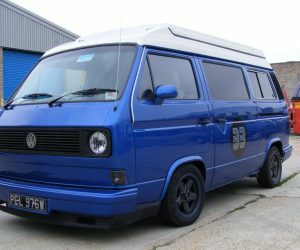 All she needs now is a set of Go Westy wheels and she’s good to go! 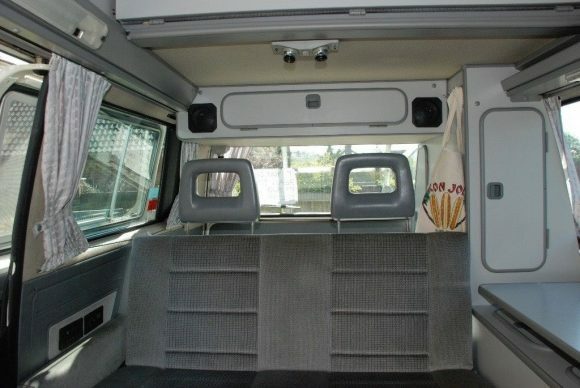 Check out more about this van at the source link below.